The Quaker Council for European Affairs (QCEA) has appointed a new Peace Programme Lead. Olivia Caeymaex, who took up her role at the end of September, will work with European institutions, governments and other civil society organisations to discourage the use of harmful and ineffective military policies, and build capacity for peacebuilding and conflict prevention. Olivia becomes the third member of the QCEA team, working alongside Representative Andrew Lane and part-time Office Manager Xavier Verhaeghe. 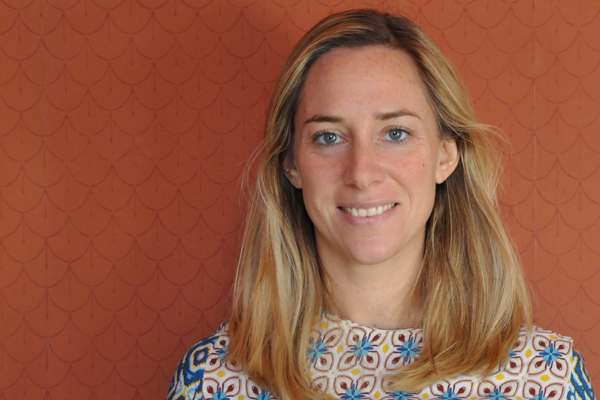 Before joining QCEA, Olivia worked as the Special Assistant to the United Nations Deputy Special Representative of the Secretary-General for W est Africa and the Sahel, based in Dakar. Olivia is fluent in English, French and Spanish and will work to represent the peace concerns of all European Yearly Meetings. “These are challenging times for the European continent. Governments are beginning to unpick the institutions of dialogue and human rights that they have been building for more than six decades”, said Olivia, “The last three years have seen growing support for nationalist movements and increased use of military responses to political and humanitarian problems. I am delighted to be part of the QCEA team that will be swimming against that current”. Olivia has eight years peacebuilding and conflict prevention experience, including six years at the United Nations and experience in Kenya and the Democratic Republic of the Congo.